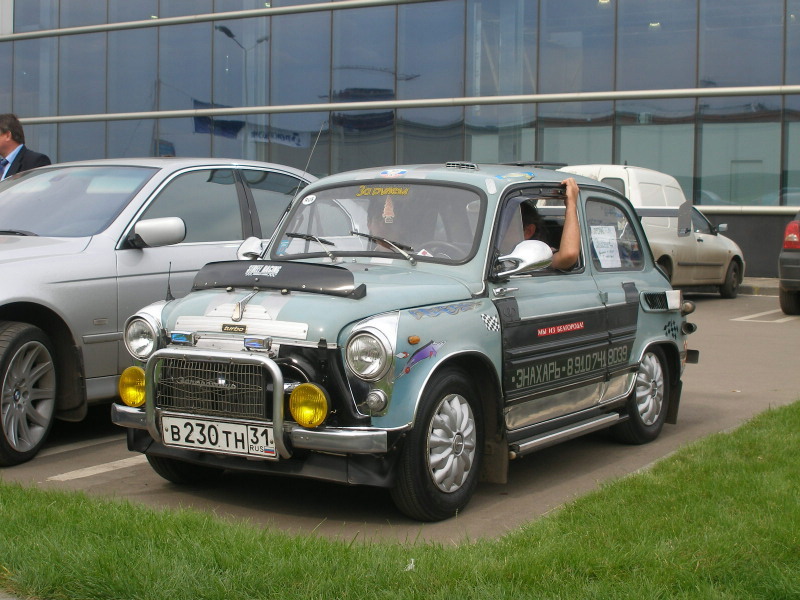 During the Soviet times Zaporozhets (or ZAZ) was an inexpensive Ukranian automobile for ordinary people. It was famous for petrol heating in salon. Nowadays it has become a real rare car and one of the symbols of Soviet era. 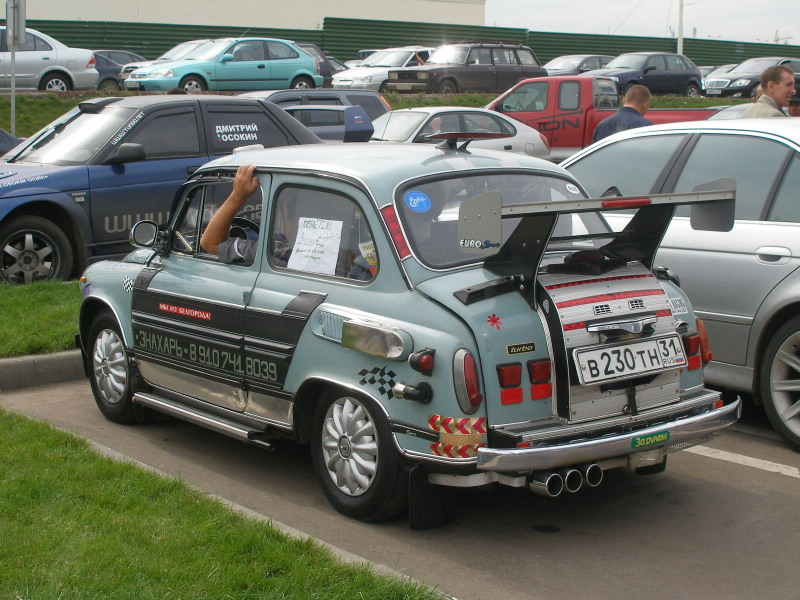 Probably that’s why some street racers and professional designers like to take old ZAZ models and convert into new racing cars. Some transformations look really amazing. I am from the future, and you are not! 1) Who said it was a 4-wheel drive? It’s not because they drive in the dirt that it is 4-wheel drive. That car with text “LAPUAN UA” is from Finland. It means Lapua´s racing drivers. Some are indeed very nice and creative. Hope they improved the engine and performance too. most of them are cute. One of the cars is a Skoda. Air cooled engine, like on the old VWs? Air cooled engine autos are true “people’s cars”– very easy to work on the engine, like a big lawnmower engine. That’s awesome! But they aren’t that rare. And lot’s of those aren’t zaps. I love the red ‘Sparco’ zap with the engine made of spare parts. haha. My dad’s first car was a used Zaparozhets. Either way he patched his up, spray-painted it green (by filling a bottle with green paint, poking holes in it and putting a hose to it increasing the pressure inside. ), installed Lada signal lights in the back and it lasted for a few years until he reluctantly sold it to a good friend. He still has fond memories of the old gal. Orange rodster is not a tuned ZAZ. This is completely scratch builded car. Orange Car is Czech Car Škoda!!! and Slovakia tunning!! !